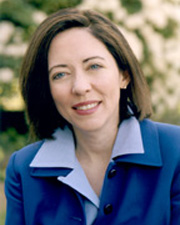 A Senator and a Representative from Washington; born in Indianapolis, Ind., October 13, 1958; attended public schools in Indianapolis; B.A., Miami University of Ohio 1980; pursued an academic course at the Miami University European Center, Luxembourg; public relations consultant; Washington State representative 1987-1993; elected as a Democrat to the 103rd Congress (January 3, 1993-January 3, 1995); unsuccessful candidate for reelection to the 104th Congress; elected as a Democrat to the U.S. Senate on November 7, 2000, for the term commencing January 3, 2001; reelected in 2006 and again in 2012 for the term ending January 3, 2019; chair, Committee on Indian Affairs (One Hundred Thirteenth Congress). John B Morgan Florida-based personal injury attorney. Founder, Morgan & Morgan.